Right in time for Valentine’s Day comes WHAT MEN WANT! 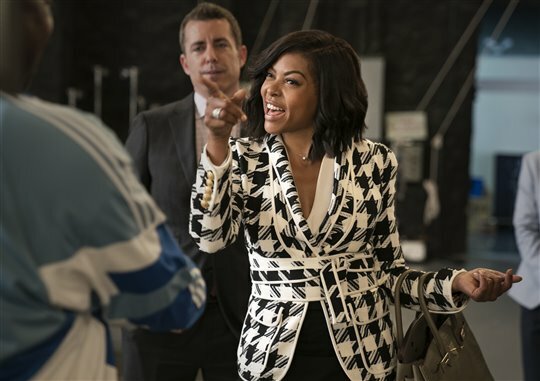 Check-out this hilarious new Red-Band Trailer for the Comedy starring Taraji P. Henson. 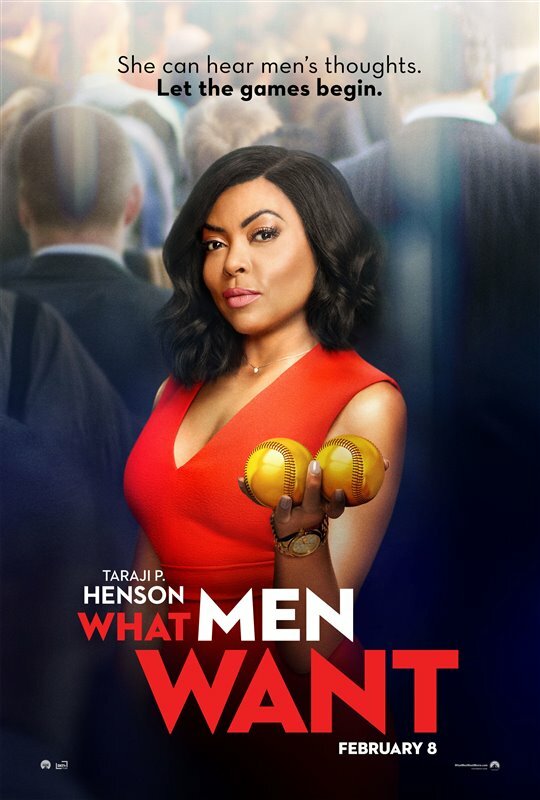 WHAT MEN WANT is the latest comedy from director Adam Shankman (HAIRSPRAY) starring Tracy Morgan, Richard Roundtree, Wendi McLendon-Covey, Josh Brener, Tamala Jones, Phoebe Robinson, Max Greenfield, Jason Jones, Brian Bosworth, Chris Witaske and Erykah Badu. Paramount Pictures Canada release Friday, February 8, 2019. Mr. Will and levelFILM want you to win on DVD, a copy of the complex and resonant ABOUT ALEX! 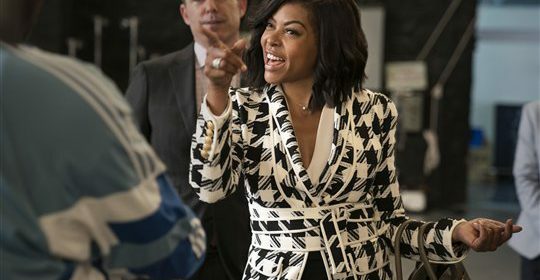 The twenty-something centric dramedy boasts a stellar cast of young stars including Aubrey Plaza (Parks and Recreation), Max Greenfield (New Girl), Jason Ritter (Parenthood), Maggie Grace (Taken, Lost), Jane Levy (Suburgatory), Max Minghella (The Social Network) and Nate Parker (Non-Stop). Hailed by CinemaBlend as “The Big Chill for Millennials“, About Alex is the story of seven college friends who reunite over a three-day weekend, after one of them has an emotional breakdown. When the friends get together to keep an eye on Alex (Ritter), the weekend that ensues will renew old crushes and resentments, shine light on bad decisions, and ultimately push friendships and relationships to the brink as the group tries to speculate when the simple life of their college years turned so muddy and complex. The sometimes irreverent, sometimes poetic, and always moving, About Alex is the first feature film from writer/director Jesse Zwick and is an honest look at the changing nature of adult friendship in the Facebook/Twitter generation. To enter to win, simply click “like” on this Post at Mr. Will Wong on Facebook! Share with your Friends on Facebook to increase your chances! levelFILM release ABOUT ALEX, now on DVD! 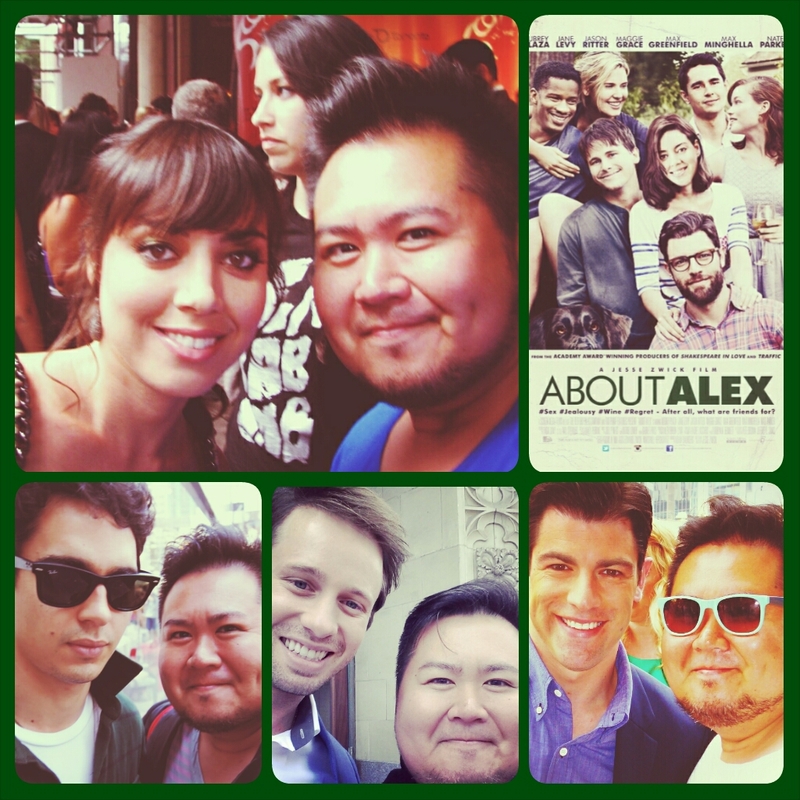 Mr. Will and levelFILM want to take you to see the complex and resonant ABOUT ALEX! levelFILM release ABOUT ALEX on Friday, August 8, 2014. From MuchMusic to the Big Time! Many of us remember Hannah Simone from her days as a VJ on Canada’s Music Television Station, but the Host-turned-Actress now stars on FOX‘s Hit Series The New Girl as Cece Meyers, the gorgeous love interest of Max Greenfield‘s Schmidt. The Role of Cece garnered Simone a Teen Choice Award last year for Choice TV Breakout Star – Female. 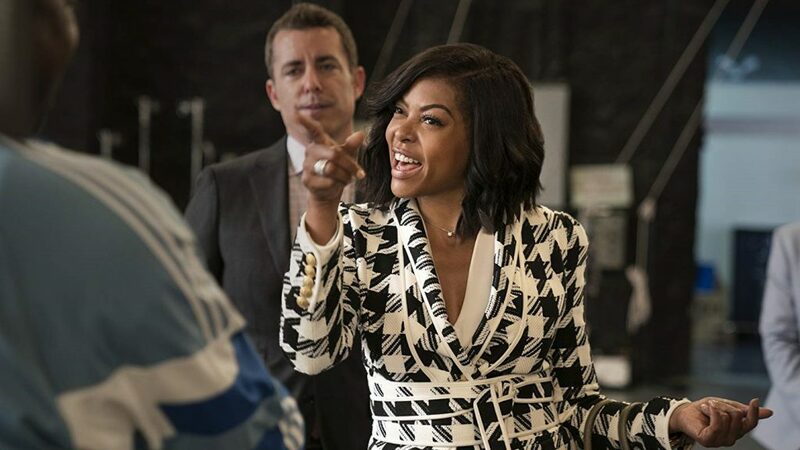 Although the on-screen Couple affectionately known by Fans as “Schmece” currently are not together, Schmidt definitely still is trying to win Cece‘s affections currently in the second season of the Series. Simone in addition to being back in Toronto from Los Angeles, is here to talk about New Girl and also Gillette’s Kiss and Tell Social Experiment, spawned from a Survey that showed 39% of Women would kiss more often if a Guy were clean-shaven. She will be appearing at Eaton Centre at 11:00 AM as part of the Festivities, timed perfectly for Valentine’s Day. In addition to appearing bright and early on KISS 92.5‘s Roz & Mocha Show, Simone looked stunning with her signature bangs, to talk about her appearance later today for the Men’s Grooming Brand. Right after, she head over to City, appearing on multiple feeds of Breakfast Television across the Country. I caught-up with Simone quickly, although her Handler was quick to decline a Photo Op, being in a rush. Fortunately Simone was amazing as expected, making an exception, visibly not being okay turning a Fan down. “Let’s take a Photo, but it’s gotta be quick as I don’t want to get in trouble!”, she tells me. It’s always great to see one of our own gain success abroad, but even better when you see they still are humble about it! New Girl airs Tuesday nights at 8:30 PM EST on City. Follow Simone on Twitter here.